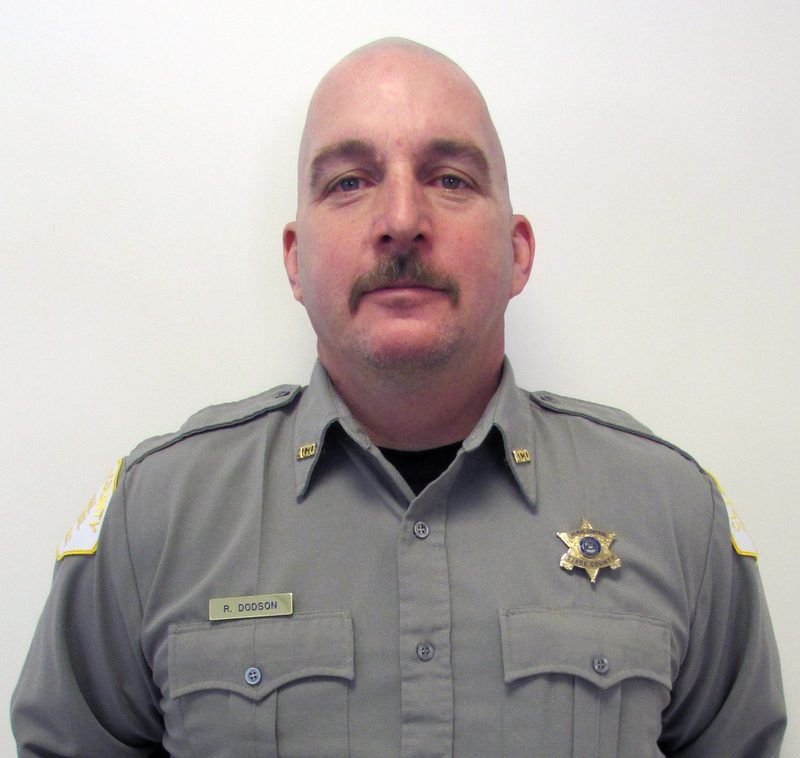 Meet Clare County’s newest Animal Control Officer, Bob Dodson. For the past four weeks, new Animal Control Officer, Bob Dodson, has been learning the ropes under the watchful eye of Clare County Animal Shelter Director, Rudi Hicks. Taking on the job of Animal Control Officer just seemed like “it was the right thing to do,” Dodson said. As an avid animal lover, during his time working for Waste Management, Dodson would always call in if he saw an animal who was left out in the cold, abandoned, or in rough shape. Dodson has a dog pack of his own who he considers his children. He has two Rottweilers, one St. Bernard and the smallest of his four legged kids is a Boxer/Pit Bull Terrier mix. Having four, large, dogs as part of his family, Dodson just can’t wrap his head around how people can mistreat animals, not just cats and dogs, but all animals. So joining onto the shelter’s staff was a no brainer for him. He said that one of the best parts of the job is watching the animals he’s gotten to know, and possibly rescued, getting adopted. Dodson has been deputized and is beginning the process of becoming a certified ACO. Hicks said that the process will take Dodson about a year to complete. Working under Hicks’ watchful eye, he said that the training process has been a good one so far. Hicks agrees that she made a good decision in hiring Dodson for the job. “I’m very happy with who I hired,” Hicks said. Dodson moved to Clare County in 1978 from Detroit. He graduated from Harrison and served eight years in the Army and worked for Waste Management before becoming the shelter’s new ACO. Along with introducing the new ACO, Hicks updated the Clare County Board of Commissioners about goings on at the shelter. For the months of November, December and January, Hicks reported that the shelter has taken in $6,840 worth of donations. Last year, during these same months, donations were only at $2,532. Hicks chalks the $4,308 increase up to good press and social media practices. Hicks reminded the Board of the story about the little pit mix shot through the throat and how that one story raised the dog around $1,200 for its medical bills. Another tip of the hat was given by Hicks to the shelter’s volunteers. During the months of November, December and January last year there was an adoption rate of 65, with an 80 percent adoption rate this year in the same months, with a 100 percent adoption rate in December. Hicks said that she had to give most of the credit to the volunteers. She said they’ve been the ones pushing adoptions and hosting adoption events outside of the shelter at least two times per month. Another great thing that Hicks has been able to start doing is getting dogs and cats fixed with donation money and a grant she applied for and received. “We will try to spay and neuter most dogs and cats before they go out,” Hicks said. Hicks then again had to commend the volunteers on all the work they’ve been doing at the shelter. Commissioner Karen Lipovsky made the comment that with Hicks being a good leader, she is getting good followers. County Treasurer, Jenny Beemer‑Fritzinger also mentioned that during the second rabies/license clinic that was held at the shelter on Valentine’s Day, had went well with approximately 40 dog licenses sold. If you would like to meet ACO Dodson, say hello to Rudi and the office staff, visit with the animals, volunteer or give donations, you can stop into the shelter, located at 4040 Hazel Dr., Harrison, MI 48625, Monday through Friday from 10 a.m. until 4 p.m. You can also give them a call with any questions at (989) 539‑3221. Shelter logo designed by MMCC Student, Ethan Davis. The 7th Annual Bogey Bash will be held on Saturday, Feb. 28 at the Tamaracks Golf Course. There will be snowmobile fun with the festivities beginning at 9 a.m. A snowmobile show, like a car show, will kick off the day. All kinds of snowmobiles will be on display with categories that patrons can vote on. 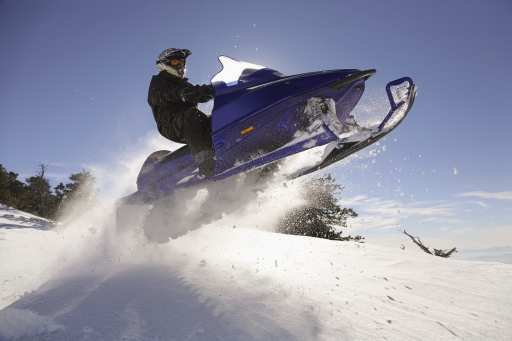 Then, the snowmobile ride will start even more snow-time fun. The day will end with a crock-pot challenge to win prizes. This year, to receive a sticker to enter the event, the coordinators are asking for a donation. With around 100 snowmobiles on display last year, the organizers decided that they had enough of a following to ask for donations this year. All money raised will be donated to the Clare County Animal Shelter. For more information you can contact the Tamaracks Golf Course via email at golfthetamaracks@yahoo.com, by phone at (989) 539-5441 or check out their website: www.thetamaracks.com. Head on out for a fun time in the snow, while also helping support your local animal shelter. 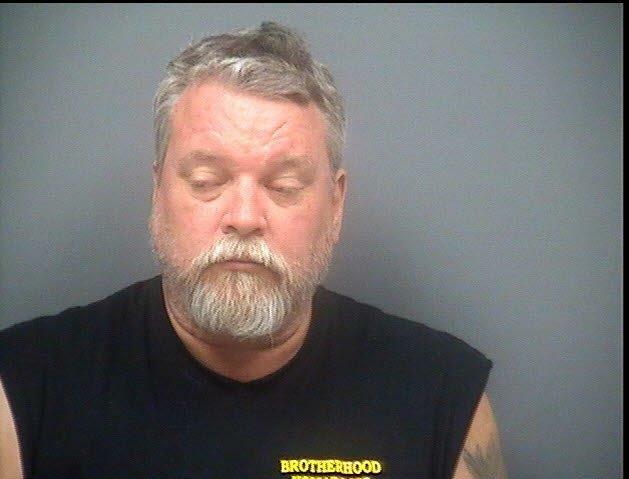 On 02-11-15 Mark Connelly was arraigned on 2 counts of Telecommunications Services – Malicious Use by Magistrate Karen Willing in 80th District Court. His bond was set at $20,000 10%. He has since posted bond and been released. On 02-10-15 at approximately 1:30 p.m. Clare County Central Dispatch received a call of a man threatening to go to the Clare County Road Commission Office on Mannsiding Road near Clare Avenue to shoot two employees. The incident stemmed from a dispute regarding snow plowing. Deputies put the Road Commission Office into outside / secure mode for about an hour for the safety of the employees and public until the gentleman could be located. Troopers and Deputies located the man leaving his residence in Lake in his vehicle. There was not a weapon located within the vehicle. The 54 year old Lake man was arrested for the malicious use of the telephone to threaten. He remains lodged in the Clare County Jail pending charges being authorized by the Clare County Prosecutor’s Office and is awaiting his arraignment. The Clare County Sheriff Department was assisted by the Michigan State Police – Mt. Pleasant Post. The search for Kenneth Napora has come to a sad end. At approximately 1:00 p.m. on Friday, March 13, the Clare County Sheriff’s Department was contacted by the Gladwin County Sheriff’s Department. Gladwin County authorities found the deceased body of Napora in the 4700 block of N. Meredith in Gladwin County. Since Napora’s disappearance, both county entities had been following up on tips and searching the area in attempts to locate Napora over the past couple months. The death of Napora is still under investigation and detectives continue to gather information pertaining to the death. Sheriff Wilson would like to express his condolences to the family and friends of Napora. Investigators have received information that Mr. Napora may have left his house voluntarily. Investigators ask that anyone with any information contact the Clare County Sheriff Department Detective Bureau at 989 539 7166. The Clare County Sheriff’s Department is asking for the local communities assistance in locating Kenneth Michael Napora of the Village of Meredith, of Clare County. 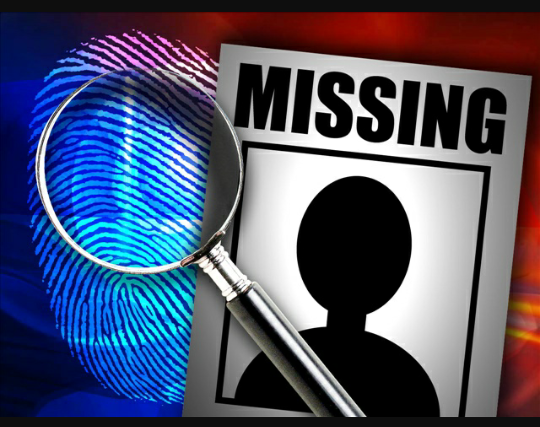 Yesterday, Tuesday, February 3, the call of a missing person came into the department. 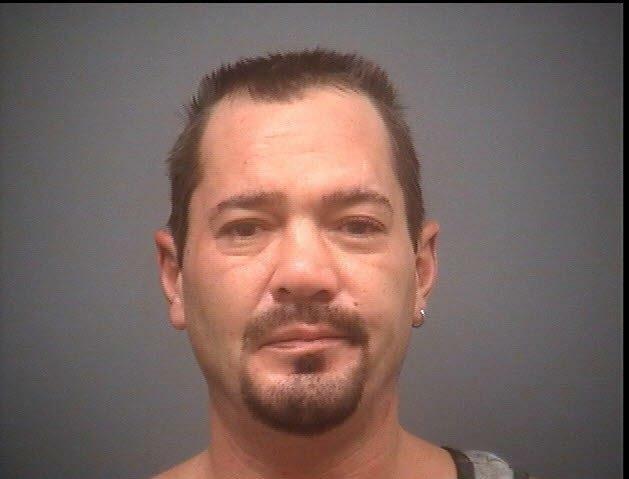 42 year old Napora left his residence on East Long Lake Road on foot sometime during the day of January 31 and hasn’t been seen, or heard from, since. He is not reported to have any medical issues. His personal items, such as wallet, were left at the residence. He is reported to be wearing all black clothing with a Carhartt coat and small Nike backpack that are also black. If you have seen or have any information on the whereabouts of Napora, please contact the Clare County Sheriff’s Department at (989) 539-7166. On 02-02-15 at approximately 9:00 p.m. Clare County Central Dispatch received a call of a two vehicle crash on northbound US 127 South of Hatton Road in Hatton Township. Deputies discovered that a white colored Chevrolet van, driven by Sherry Cowles age 49 of Harrison, had been passing a 2013 Red Perterbilt Tractor Trailer hauling milk, driven by Kyle Murphy age 22 of Mt. Pleasant. The van lost control, spun in front of the Tractor and ended up in the ditch. The Tractor ended up in the median and there was no spill or leak caused from the incident. It took the Sheriff’s Department until 11:30 a.m. on Tuesday, Feb. 3 to remove the tractor out of the median. The driver of the van was checked by medical personnel for minor injuries and later released from treatment. The driver of the Tractor was not injured. Deputies were assisted at the scene by the Harrison Fire Department, Mobile Medical Ambulance Service, the Clare City Police, the Clare County Road Commission, Fox’s Wrecker Service, and Greens Wrecker Service. 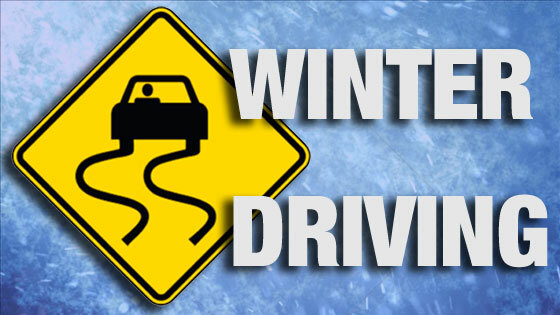 Sheriff Wilson asks the motoring public to please drive extra slow and cautious during these hazardous weather conditions.